Wallace Corbett was raised in the South. His parents taught him that acts of kindness come from the heart. When he discovered that he was HIV-positive in the late 1980’s, the love he received from his family carried him through his battles against AIDS. Wallace has worked in the Department of Radiology at George Washington University for the last 20 years. “I have seen so many of my brothers and sisters in their fight against AIDS and hope I have helped to make it easier for them along the way,” he says. He has served as the chair of the Metropolitan Washington Regional Health Planning Services for four years and also has served with the HIV Prevention Community Planning Group. 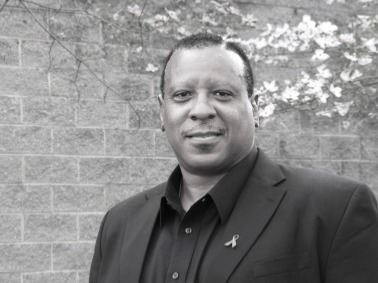 Wallace has been on the Board of the National Association of People with AIDS and has been the chair of the Max Robinson Center Community Advisory Board. He also has been on the Board of Directors of the Whitman-Walker Clinic. At George Washington University, Wallace is on the Advisory Board for the D.C. Development Center for AIDS Research. He is also on the Board of Service and Advocacy for Gay, Lesbian, and Bisexual Elders, and he is a member of the Metropolitan Community Church’s Older Adult Ministry Group for Health and Wellness. Wallace also chairs Our Heroes Exhibit of D.C.—a large scale photo exhibit showing those people who have made a change in the fight against HIV/AIDS during 1983-2013 in the Washington area. That exhibit is being shown widely and is part of the collection at the Martin Luther King Memorial Library. What is a "Community Pioneer?" Dr. Theo W. Hodge, Jr.